Critically acclaimed novelists Charles Dubow (Girl in the Moonlight), Lisa Genova (Inside the O’Briens, Still Alice), Mary-Beth Hughes (The Loved Ones) and Matthew Thomas (We Are Not Ourselves) discuss their latest novels that center around the ups and downs or family life. Hosted by: Robin Kall, Reading With Robin Radio Host. Join BookEnds BookGroup This month we will be discussing Still Alice By Lisa Genova BookEnds BookGroup usually meets every last Sunday of the month at 2 pm in The Gallery. BookGroup reads are 20% off prior to the event to BookGroup participants. Free and all are welcome. Olivia's dream of a "normal" life shattered when her son was diagnosed with autism at age three. But just as Olivia was starting to realize that happiness and autism could coexist, he died. Now she's alone in a cottage on Nantucket, separated from her husband, desperate to understand the meaning of her son's short life. To deepen our understanding of the issues underlying this novel, we're encouraging everyone also to read Curious Incident of the Dog in the Nighttime and What Color is Monday in preparation for this meeting. Most of these titles are in paperback, or should be by the time we'll read them, and they will all be discounted 25% from the publisher's price for the following year, whether you join us for meetings or not. Malibu - The Malibu Book Group discusses "Still Alice"
Diesel, A Bookstore in Malibu welcomes the Malibu Book Club back to the store to discuss Still Alice by Lisa Genova on Wednesday, October 9th at 5 pm.Alice Howland is fifty years old, a cognitive psychology professor at Harvard University, the mother of three children, and a world-renowned expert in linguistics; in short, an accomplished woman with a life to be proud of. However, lately, she's been having small episodes of forgetfulness and confusion, and the diagnosis is tragic. Alice has early onset Alzheimer's. Struggling with the loss of her sense of self -- she gets lost in her own house, she is unable read, work, even take care of herself, and, in the end, she can't even recognize her own children -- she tries to find a sense of meaning in a life that is being stripped of both past and future. Without memory or hope, she is forced to live in the moment, which is by turns beautiful and terrifying. Unless otherwise listed, the Malibu Book Club meets on the second Wednesday of each month at 5pm at our Malibu store. Meetings are free and open to the public, so come on down! Dr. Gary Small will be speaking about the latest breakthroughs on Alzheimer's research. Please call the store to check ticket availability. 203-245-3959. Thank you. Two parallel stories intertwine in this novel . Set on Nantucket, two women - one who gives voice to an autistic child and one whose autistic son changed the cours of her life - seek to understand the incomprehensible, and find strength to move on from tumultuous relationships and troubled pasts. The characters are richly described , and especially as a mother, I really connected with them in this beautiful novel. ~Barb Olivia Donatelli’s dream of a “normal” life shattered when her son, Anthony, was diagnosed with autism at age three. Understanding the world from his perspective felt bewildering, nearly impossible. He didn’t speak. He hated to be touched. He almost never made eye contact. And just as Olivia was starting to realize that happiness and autism could coexist, Anthony died. Now she’s alone in a cottage on Nantucket, separated from her husband, desperate to understand the meaning of her son’s short life, when a chance encounter with another woman facing her own loss brings Anthony alive again for Olivia in a most unexpected way. Beth Ellis’s entire life changed with a simple note: “I’m sleeping with Jimmy.” Fourteen years of marriage. Three beautiful daughters. Yet even before her husband’s affair, she had never felt so alone. Heartbroken, she finds the pieces of the vivacious, creative person she used to be packed away in a box in her attic. For the first time in years, she uncaps her pen, takes a deep breath, and begins to write. The young but exuberant voice that emerges onto the page is a balm to the turmoil within her, a new beginning, and an astonishing bridge back to herself. In a piercing story about motherhood, autism, and love, New York Times bestselling author Lisa Genova offers us two unforgettable women on the verge of change and the irrepressible young boy whose unique wisdom helps them both find the courage to move on. Lisa Genova is the author of the New York Times bestsellers Left Neglected and Still Alice. She graduated valedictorian from Bates College with a degree in Biopsychology and holds a Ph.D. in neuroscience from Harvard University. She travels worldwide, speaking about the causes, treatments, ways to prevent, and what it feels like to live with Alzheimer’s Disease. 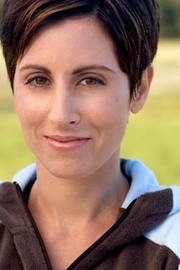 She has appeared on The Dr. Oz Show, The Diane Rehm Show, CNN, Chronicle, Fox News, and Canada AM and is featured in the documentary film, To Not Fade Away. She lives with her husband and three children in Cape Cod. Lisa Genova is currently considered a "single author." If one or more works are by a distinct, homonymous authors, go ahead and split the author. Lisa Genova is composed of 2 names. You can examine and separate out names.